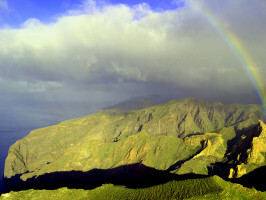 See the magnificent island of Tenerife like you have never seen it before. 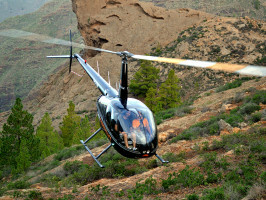 This tour invites you to hop aboard a state of the art helicopter for the ride of your life. 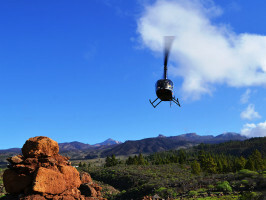 After you lift off, admire the natural splendour of one of the most beautiful of all the Canary Islands from a vantage point that, before man came along with his technology, was reserved only for the enjoyment of the birds. 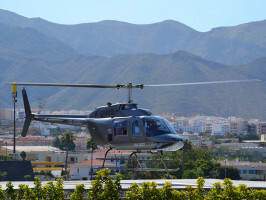 Thanks to its excellent manoeuvrability, this tour’s luxurious helicopter is simply the ideal aircraft for aerial excursions like this one. Some of the many unforgettable sights you will set eyes upon include breath-taking canyons, ominous volcanoes and dramatic cliffs. All of these vistas are impressive enough seen from the ground – from the air, they are simply glorious and, due to their size, even humbling. Throughout the duration of the journey, you will fly with a set of headphones to communicate with your charming pilot. This charismatic character will narrate all of the most interesting details about the scenario. Thanks to his insightful knowledge of the island, the tour will not only be a grandiose aesthetic experience, it will also be an educational one. 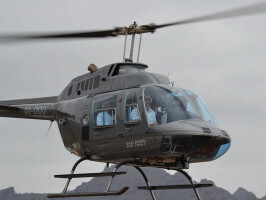 No matter if you are a professional photographer or an amateur, on this flight you are guaranteed to take some exhilarating shots that will preserve the beauty of the moment forever. Indulge yourself, you family or your significant other with a ride you will never forget. Duration: South coast: 7-9 min 20km. beaches & valleys: 10-12 min 30km. Cliffs of the Giants : 18-20 minutes: 18-20 min 50km. 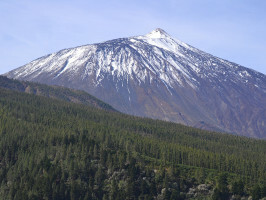 Gran Teide Luxury: 42-45 min 130km. Languages: English, Russian and Spanish. Passport required. Guests over 120kg will have to book two seats. The customer must call the number on the voucher to confirm the time of the visit 48 hours in advance. Children under 2 years old will travel with the parents, and they will use special belt, not using seat. From 2 years old they pay as adult, and they use seat. Extra comments : Passport required for the tour. Children under 2 years old will travel with the parents, and they will use special belt, not using seat. From 2 years old they pay as adult, and they use seat. Guests over 120kg will have to book two seats.